Enjoy spring’s bounty with fresh Strawberry Rhubarb Sauce. This sauce is easy to make from your fresh or frozen rhubarb and strawberries. 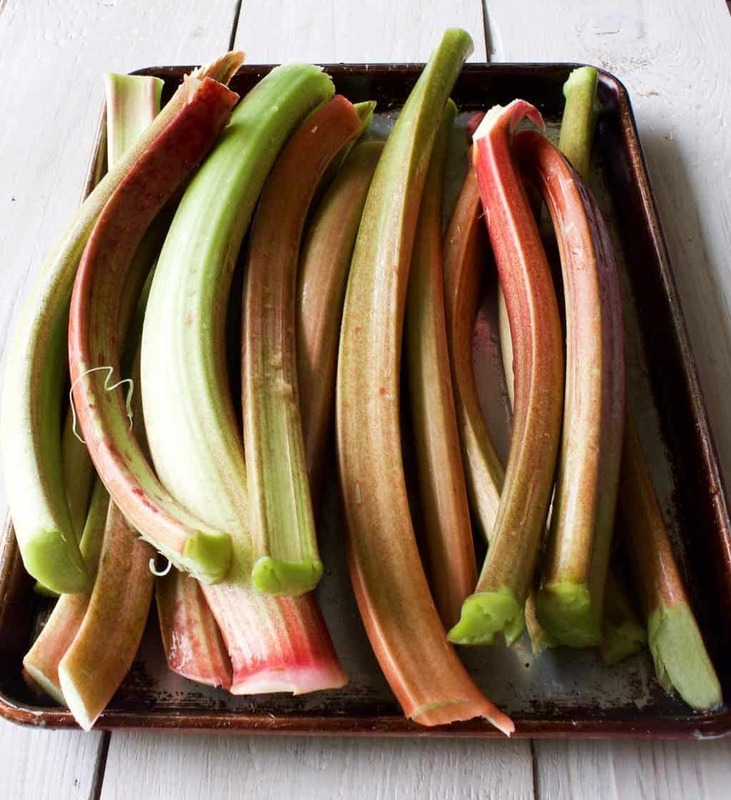 Grow Rhubarb In your garden or even a flower bed. This beautiful perennial bush arises every spring with beautiful huge leaves and delicious crunchy fruit. We have a lovely big bush of it full of delicious red and green stalks, ripe for the picking. Dave brought in a huge armful of these lovely pink and green stalks and unceremoniously dumped them in the sink. Here they are all washed and ready to cut into small chunks. 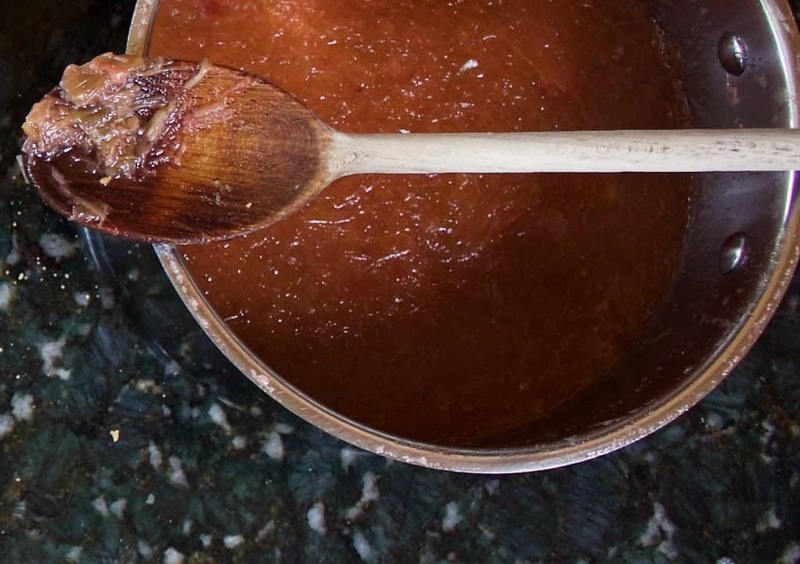 I froze three quarts of rhubarb and made a batch of this delicious rhubarb sauce recipe. 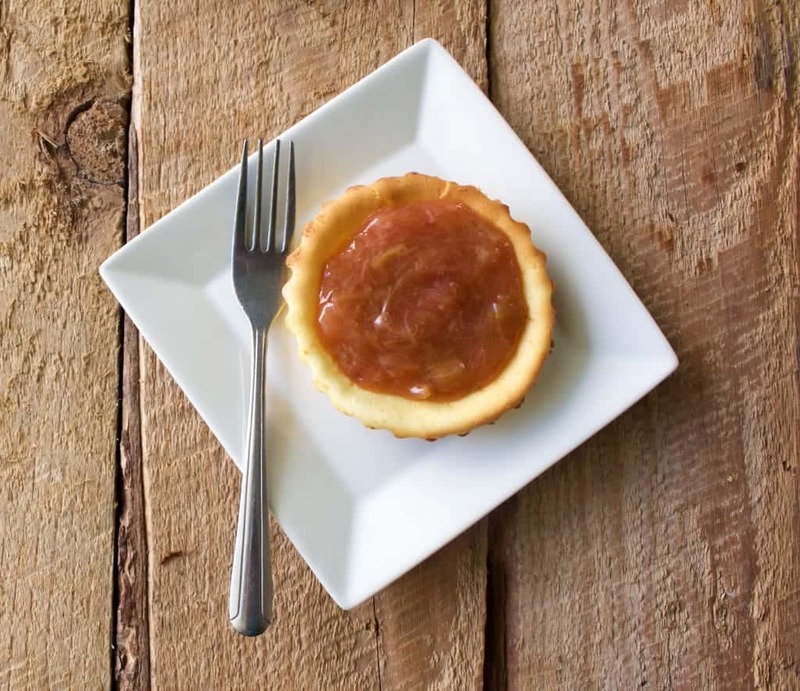 Rhubarb sauce is a perfect compliment to lemon cheesecake tarts . What a brightly flavored spring treat. Ripe, fresh rhubarb ready for freezing and saucing! I received this load of rhubarb at the very beginning of our strawberry harvest. We have been snipping some strawberries but not enough for a pie yet. So I added them into our rhubarb sauce. Rhubarb leaves contain oxalic acid which is poisonous. Cut off the leaves and discard. Set all the sauce ingredients, EXCEPT THE CORNSTARCH, in a 4 quart pan and bring to a boil on medium heat. Reduce the heat to simmer and allow the sauce to low boil until the rhubarb and strawberries are broken down. If your going to freeze the sauce remove from heat now and allow to cool to room temperature. IF serving the sauce immediately, thicken if desired. Allow the sauce to cool and serve. Store in the fridge in an airtight container up to one week. The best thing about homemade? You can adjust the ingredients to suit your own family’s tastes. And I strongly encourage you to do that. Play with it until your family loves your rhubarb sauce. That’s what I do. Rhubarb and strawberries BOTH change flavor seasonally. The amount of sugar in your fruits determines how much sweetener you need to add. That applies to the moisture content as well. You may need to add more or less water and thickener to get the perfect consistency. 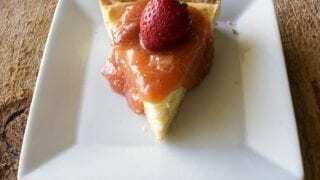 Homemade rhubarb sauce is VERY easy. But be ready to adjust it to your family’s taste. I accidentally boiled this sauce all over my stove, on SIMMER for goodness sake! So watch your sauce; even after reducing the heat and letting it be a while. All I did was cover it with a lid and walk away. Not a good idea. Add cornstarch sparingly so your sauce doesn’t become a jelly after cooling. This strawberry rhubarb sauce will freeze well IF NOT THICKENED. Cornstarch is not a good choice for freezer recipes. After the unthickened sauce is cooked, cool it to room temperature. Ladle the sauce into ziplock freezer bags and close. With an indelible marker label the bags with the DATE and NAME of the recipe. Place the bags flat on a baking sheet and freeze solid. Now your sauce is easily stacked frozen. It’s very handy to have rhubarb sauce in the freezer for year round . 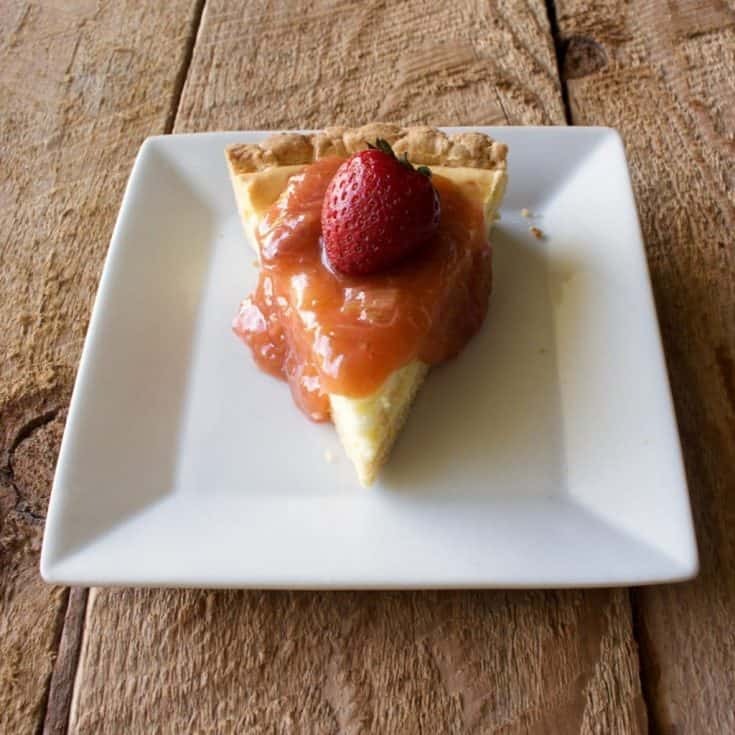 make strawberry rhubarb pies, Rhubarb Ginger sauce, Barbeque sauce and other delicious recipes with this frozen sauce as the base. Homemade Food Junkie appreciates your input on our recipes. Please share how it went for you and how you tweaked this recipe to make it your own. Our readers read and value your input! Enjoy spring’s bounty with Strawberry Rhubarb Sauce. This delicious sauce is easy to make from your fresh (or Frozen) rhubarb and strawberries. Place prepared water, rhubarb, sliced strawberries and sugar into a 2 quart pot on the stove on medium. Bring it to boil. Add extra water if necessary to keep it from sticking. Reduce heat to simmer and Boil 10 minutes stirring constantly. When the rhubarb and strawberries are broken down the sauce is ready. Thicken it by adding 2 Tablespoons cornstarch to a small bowl and mixing it with 2 Tablespoons water. Add to your boiling rhubarb sauce and boil another minute or two until the sauce turns from milky to clear. Remove from heat. Cool in the fridge until needed. TO FREEZE: Do NOT freeze the thickened sauce if you use cornstarch per our instructions. INSTEAD freeze the sauce before thickening in heavy duty freezer bags. To Use the frozen sauce: Defrost and set to boil in a two quart pan. Now add your thickener if you prefer per instructions.